Join us for our Closing Reception and Sale on December 1st at 5:30pm! This year marks 130 years since Anna Leonowens first opened the Victoria School of Art in 1887. 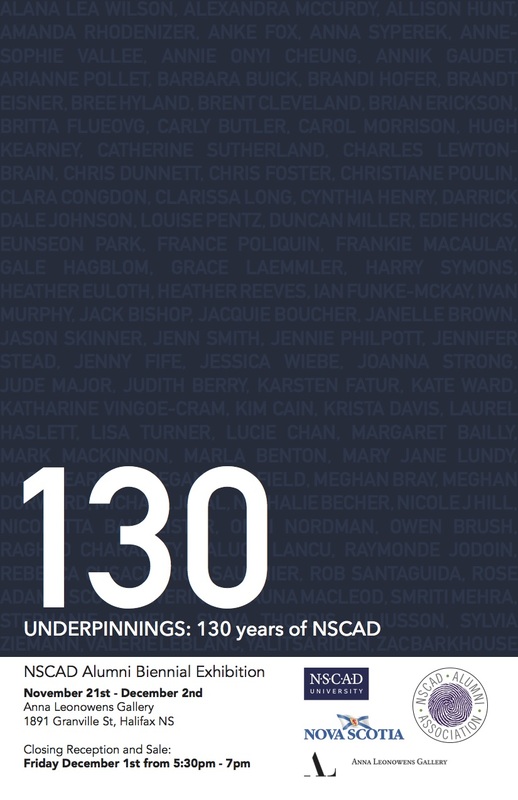 Since then, NSCAD has maintained its reputation as one the most influential art schools under many names, locations and presidents. NSCAD has provided the educational underpinnings for the studio practice of numerous significant Canadian artists, cultural workers, and creative thinkers.